CMG Introduces Smart Infrastructure Advisory (SIA). CMG’s SIA is designed to help Chairmen, Board Directors, City Council, Mayors, City Managers, City Management, CEOs, COOs, CTOs, CIOs, CFOs and Senior Executives drive their own transformation towards Smart Utilities, Smart Cities, and Smart Buildings. 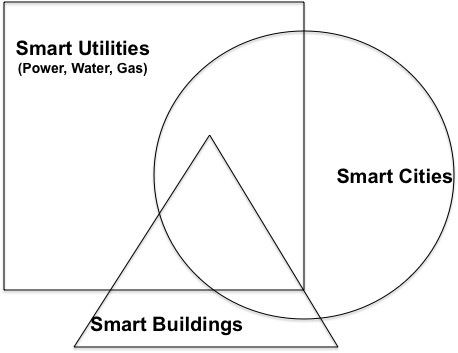 Smart Utilities have emerged as a large megatrend and they service one or multiple cities and communities throughout their services territories along with many commercial, industrial, and residential customers. Smart Cities are emerging as another large megatrend which own many buildings and service citizens and visitors in many buildings and homes. Smart Buildings, a large megatrend of the 20th century is transforming again, are finally getting actively integrated with Smart Utilities and being actively planned and managed by Smart Cities. As these three trends come together, the possibilities for innovation, shared infrastructure, cost reductions, new business models and unrivaled customer experiences await to be discovered. CMG has the global and local expertise to help you unlock all the value with our knowledge library of over 500 use cases. Our consulting services include the development of Corporate Strategy, Branding & Marketing Strategy, White Papers, Reports, Assessments, Gap Analysis, Benchmarking, Designs, Architectures, Roadmaps, Use Cases, Business Models, Business Cases, Marketing Programs, Market Development, Channel Development, Go-to-Market Plans, IT/OT Management, IT Strategy, OT Strategy, Product Innovation, Funding Strategy, and M&A Strategy. The results of our involvement are proven to Increase Value, Reduce Risk, Accelerate Adoption and Delight Customers. For more information about our monthly or yearly SIA pricing or to connect with our team, please go to our contact page and fill out the form, or send an email to info@512cmg.com, or dial (888) 445-5486.